We have posted before about Odysseus’ sister Ktimene. She is mentioned by the swineherd Eumaios but never by Odysseus. The scholia connect her to one of Odysseus’ companions. The evidence for this seems to be the fact that Ktimene was sent to Same for marriage (where Eurylochus is from) and a kinship term used for him by Odysseus. Also of interest, according to the scholion, Odysseus may have had more sisters. Strong Ktimenê, the youngest of the children she bore. I was raised with her, and she honored me little less. And sent me to the field. But she loved me more in her heart. τῇ ὁμοῦ ἐτρεφόμην, ὀλίγον δέ τί μ’ ἧσσον ἐτίμα. ἀγρόνδε προΐαλλε· φίλει δέ με κηρόθι μᾶλλον. ὁπλοτάτην τέκε παίδων] θηλειῶν γοῦν. μόνον δ’ αὖτ’ ᾿Οδυσσέα πατὴρ τέκε (π, 119.). καὶ πλείους οὖν αἱ ᾿Οδυσσέως ἀδελφαί. Q.
Q “Instead of the genitive here, “even though he was an in-law”. QV For he married Odysseus’ sister Ktimene. καὶ πηῷ] ἀντὶ τοῦ, καὶ πηοῦ περ ἐόντος. 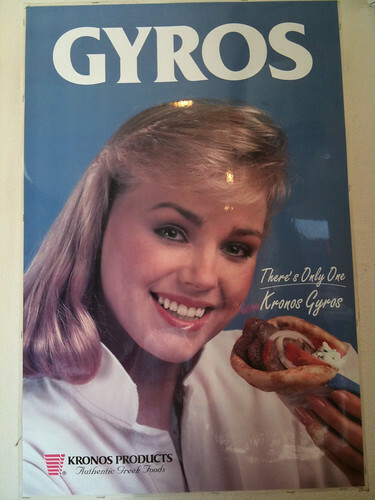 Q. συγγενεῖ. V.
μοι ὄντι ἐπὶ τῇ ἀδελφῇ Κτιμένῃ. B.
Πηός: ὁ κατ’ ἐπιγαμίαν συγγενής. καὶ Πηοσύνη, ἡ συγγαμβρία. καὶ Πηῶν, τῶν συγγενῶν. ῞Ομηρος· πηούς τε φίλους τε. διαφέρει δὲ πηὸς φίλου· φίλοι μὲν λέγονται οἱ μηδὲν τῷ γένει προσήκοντες· πηοὶ δὲ οἱ κατ’ ἐπιγαμίαν συγγενεῖς. “God-like Telemachus saw her first by far. And have his own place [honor] and rule over his possessions. τιμὴν δ’ αὐτὸς ἔχοι καὶ κτήμασιν οἷσιν ἀνάσσοι. Telemachus is roused from a reverie by the appearance of a new stranger—and the characterization of his repose intrigues me. He does not appear to me to be a man of action except in the offering of hospitality. His emotional state is withdrawn: he inhabits his own thoughts, he is emotionally distressed, and he fantasizes about things being different from what they are. His first response is to rebuke himself for failing to live up to the very standard of hospitality that has been offered to the suitors, the abuse of which is a source of his frustration, and his daydream that his father will come home and put everything to rights. And nodding his head. For he was imagining doom in his mind. νευστάζων κεφαλῇ· δὴ γὰρ κακὸν ὄσσετο θυμῷ. Here, we have a thematic parallel for Telemachus’ first appearance. Amphinomos is full of dread over what he has just heard and cannot escape the future he is fearing. Note how both Amphinomos and Telemachus are characterized as occupied by their own thoughts, living an internal dream rather than engaging in the outside world. There are other accounts that strengthen these associations in variations on the standard Homeric texts. When commenting upon Odysseus’ first appearance in book 5, the scholia record Aristonicus’ comment that the language is more fit (οἰκειότερον ἐν ᾿Ιλιάδι) for the Iliad at 2.721 where Philoktetes is described as “he lies there on the island suffering harsh pains” (ἀλλ’ ὃ μὲν ἐν νήσῳ κεῖτο κρατέρ’ ἄλγεα πάσχων, =Od. 5.13). He adds that it would be right for him instead to be “tortured in his heart” (νῦν δὲ ἔδει τετιημένος ἦτορ εἶναι, Schol. H ad Od. 5.13). Similarly Menelaos retreats from Patroklos’ body under force in book 17 of the Iliad, described as “troubled in his mind” (τετιηότι θυμῷ) and unwillingly—a phrase the scholia record appeared in the alternative τετιημένος ἦτορ in some manuscripts (Schol. Ad Il. 17.664b2). Another textual variant offers support: after Hera has been rebuffed by Zeus at the end of Iliad 1, most manuscripts depict Hephaestus as ministering to his mother, “white armed Hera” (λευκωλένῳ ῞Ηρῃ, 1.572) while the scholia report τετιημένῃ ἦτορ as a variant (Schol. bT ad Il. 1.572 Did. (?) λευκωλένῳ ῞Ηρῃ: ἄμεινον γράφειν „τετιημένῃ ἦτορ”). Hera’s ability to affect the action or even know Zeus’ plan has recently been limited—it makes sense that she would be characterized as being upset, unwilling, and trapped. ἠὲ Πύλονδ’ ἐλθὼν ἢ αὐτοῦ τῷδ’ ἐνὶ δήμῳ. The application of the “tortured in the heart” phrase here troubled ancient readers—a scholion glosses its use as “not because he is sullen, but because he is thinking about how to leave” (φίλον τετιημένος ἦτορ] οὐκ ἐσκυθρωπακὼς, ἀλλὰ καὶ φροντίζων ὡς ἀποδημεῖν μέλλων, Schol ES ad Od. 2.298). The scholiastic adjustment here points both to the ‘typical’ interpretation of the line—that it indicates an isolated rumination—and the sense that something critical has changed here. As Telemachus moves into action and declares himself as an agent and a thinker, he also moves from his state of paralysis and rumination into a different part of his tale. And a slab of succulent hog, rich with fat. 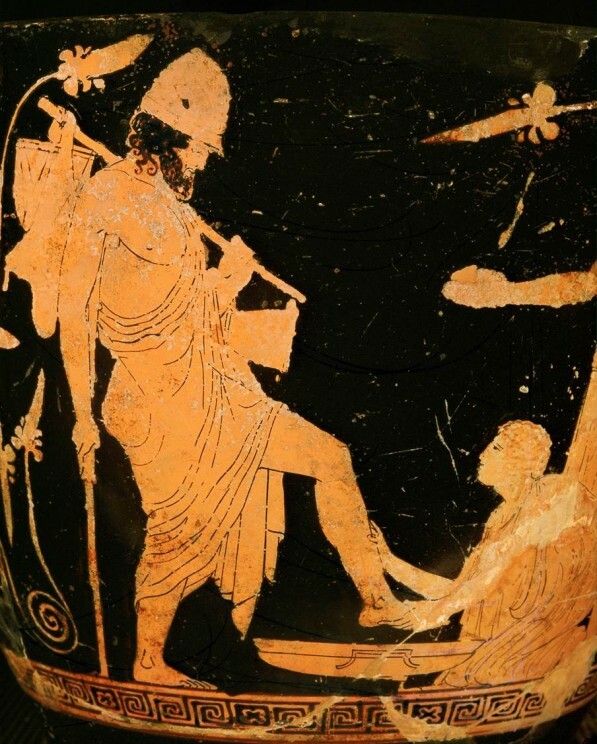 As Automedon held them, Achilles cut. While the son of Menoitios, a godlike man, built up the fire. He spread out the coal and stretched the spits over it. Once he put the meat on the fire he seasoned it with holy salt. ἐν δὲ συὸς σιάλοιο ῥάχιν τεθαλυῖαν ἀλοιφῇ. τῷ δ’ ἔχεν Αὐτομέδων, τάμνεν δ’ ἄρα δῖος ᾿Αχιλλεύς. πῦρ δὲ Μενοιτιάδης δαῖεν μέγα ἰσόθεος φώς. πάσσε δ’ ἁλὸς θείοιο κρατευτάων ἐπαείρας. καλοῖς ἐν κανέοισιν, ἀτὰρ κρέα νεῖμεν ᾿Αχιλλεύς. How Do You Say Trick-Or-Treat in Latin and Greek? from Last year, an important thread. Send me more languages and more suggestions and I will add them. But what I really like is δόλος ἢ ξείνιον because I think Odysseus is the original trick(ster)-treater. ὄφρ’ αὐτόν τε ἴδοιμι, καὶ εἴ μοι ξείνια δοίη. 9.406 “Really, is no one killing you by trick or by force? ἤδη δὴν ἀπεών, ἢ ἀμφαδὸν ἦε κρυφηδόν. Your sweets or you life! There is a classical Greek equivalent, PMG 848.12 f. (from Athenaeus 8.360b) εἰ μέν τι δώσεις, εἰ δὲ μή, οὐκ ἐάσομες…give a treat or else! Didn’t find any classic Greek, but modern Greek seems to be «φάρσα ή κέρασμα» according to WP. WP: Usque ad hunc diem, bellariorum petitores clamitant: Trick or treat! 'Aut dulcia aut dolum!' (pro trick, confer vocem Latinam tricae). Facebook: How do you say trick or trick in Latin? Euthyphro: How DO you say “trick or treat” in Latin? Thrasymachus: While I like the alliteration, I don’t think *donum* works here. You need the accusative, not the nominative.